When you think of precast. Think of Procast. At Pro-Cast, we not only design, manufacture, and deliver, we can also store your products until you are ready for delivery. 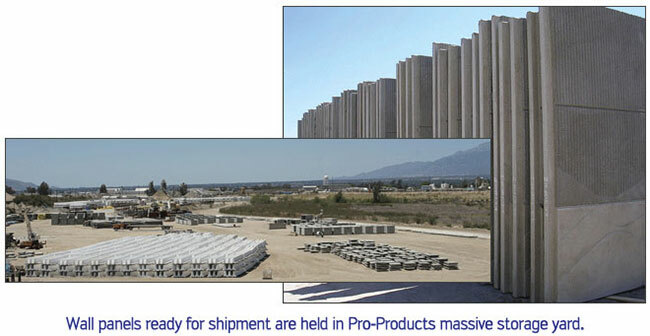 Pro-Cast Products has the capability of storing large inventories of all types of precast products. Pro-Cast also has the equipment and trained personnel to deliver and set-in-place many precast products. 30 Years of Offering Quality Service and Excellent Products! The premier manufacturer of precast concrete products service in Southern California since 1987. Our plant, personnel, & QC lab are NPCA & Caltrans certified. We maintain large inventories of many items so that your products are readily available when you need them. Learn more about Pro-Cast Products.